Boracay’s popularity has grown a large amount over the past few years with more and more travelers discovering the beautiful white sand beaches on the island. 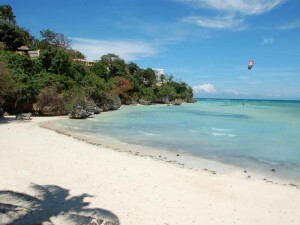 These beaches, in fact, are on every corner of the island, helping to give Boracay a diverse uniqueness that allows visitors to find a spot that is most ideal to them. This is because each of the island’s beaches are different from the next with some offering windy conditions and numerous high action water sports, others with calm relaxing coves surrounded by cliffs offering privacy at its best and lastly a few long beaches in the middle of it all allowing for a great social scene. In addition to the variety of beach settings available, there is a large number of resorts and hotels to choose from as well. These hotels vary in price, amenities offered, room features and distance to D’Mall and other popular area attractions. These qualities mean that some hotels are better suited then others. While still keeping the diversity option open, below you’ll find a few high quality hotels and resorts that are merely steps from the beach, allowing for that ‘perfect’ beach vacation. In essence, many would agree that the hotels listed below are the best beach hotels on the island. 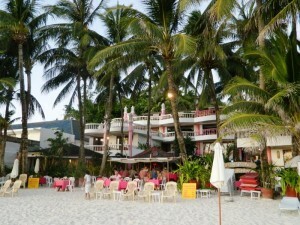 Boracay plays host to a numerous amount of hotels and resorts, both big and small, on the beach and off. For those who are looking for a stay directly on the beach, there are quite a few options around the entire island, some on the famous White Beach while others in more reserved beach locations. Due to the large amount of choices, it can take some time to figure out which is right for your style of vacation. 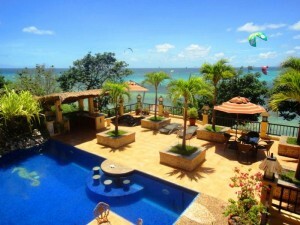 To help out, we’ve come up with a list of the best Boracay hotels and resorts on the beach. A rather small resort with only 9 guest rooms, the Artista Beach Villa offers a family-like atmosphere along with quality service thought out one’s stay. Due to the resort’s location on a quiet section of Diniwid Beach near the north portion of the island, guests will have the ability to enjoy a peaceful stay while still close enough to partake in more adventurous and social activities during their stay. Due to the small size of the resort, there aren’t a wide variety of amenities on-site, however there is a rooftop terrace restaurant offering lovely views and a beach to enjoy. Though the features may be lacking in abundance, Boat Station 2 and D’Mall is within walking distance, which is a big plus. Reviews are consistency high with several guests citing that it’s the perfect resort for romantic couples seeking a calm, relaxing vacation. A small resort with large rooms, the Asya Premier Suites is located on a quiet and secluded beach near the southern portion of the island, which is ideal for both romantic couples and families. All in all there are 20 private villas to choose from, each featuring a desk, TV, over sized and ‘cushy’ bed, a European size standalone bathtub along with a separate shower, wood and rattan furniture and a spacious private veranda. Although the official rating for this resort is 4 star, it is clear that Asya Premier Suites is one of the higher end ultra-luxury resorts on the island. Due to this, guests will find higher room rates. If you’re willing to pay a higher nightly rate, you’ll be rewarded with 2 restaurants, an infinity pool, fitness center, medical assistance (24 hour), a private beach, nanny services, golf carts, a free shuttle service and much more. Guests reviews are along some of the best in all of Boracay with a large number of families praising the resort for its family friendly atmosphere. A rather large resort with 285 rooms to choose from, the Boracay Regency Beach Resort is a 5-star resort right in the middle of it all in Boat Station 2. With the large number of rooms, there is a large amount of room choices, offering a little something for everyone, including rooms with balconies and a nice view. No matter the room type, each room includes either a queen size bed or 2 singles, air conditioning, a TV and Wi-Fi access with an additional charge. Those traveling with kids have the option of using one of the several kiddie pools, twin bed options and the kid approved restaurant menus. Those traveling without children will find the rooms to be comfortable, large in size and conveniently located near area attractions and activities. On-site the resort offers a beach, several swimming pools, a fitness center, VIP lounge and a mini shop. 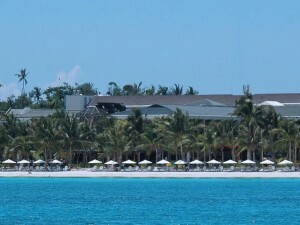 Due to the reasonable rates, large rooms and in-house amenities, this resort serves as one of the area’s most popular. A beachfront resort located right on the famous White Beach, Fridays Boracay Resort offers guests 46 rooms, groomed tropical gardens, an assortment of amenities and a high rating among past guests. Each room features a mini bar, a TV, Wi-Fi access and little extras including Abaca slippers. The resort itself offers a butterfly garden tour, boat rentals, water activities, a boutique and a lovely spa. There’s also a restaurant and beach bar on-site, making the need for venturing off for your nightly meal unnecessary. The resort’s rating is 4 1/2 stars but it could easily be a 5 star resort with all of the amenities and activities on-site. In fact, reviews are quite high with many referring to their stay as wonderful and convenient. Past guests seem to love the location right on the beach as well as the friendly staff members. If you don’t mind paying a higher nightly rate, you’ll find this resort to be one of the best. Medium in size with reasonable nightly rates that even those with a tight budget can afford, the Microtel by Wyndham Boracay is a great resort for those who love being right on the beach, even if it’s in a more relaxed section of the beach. Within the resort, there are 50 rooms in 2 different styles, 1 queen bed and 2 queen beds. These options are great for those who are traveling in a small group or with a few kids in tow. Speaking of kids, this particular resort is extremely family friendly with a playground complete with a slide and babysitting services. 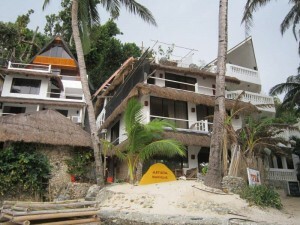 The resort also offers a shuttle service, laundry services, bicycle rentals and public Wi-Fi along with in-room Wi-Fi. Amenities continue into each room with a microwave and refrigerator, perfect for those nights when you want to eat in. With great reviews, rooms, amenities and rates, it’s no wonder guests often return for a second stay. A 4-star resort with 15 guest rooms available, the Nigi Nigi Too Beach Resort is one of the more popular small resorts in the Boat Station 1 area. Though the resort is small, the rooms are anything but. In fact, they are great for families and groups with rooms serving as doubles or quads. Rooms also include air conditioning, hot water for showers, a mini fridge, cable TV and free internet access. The resort also caters with a beach restaurant and bar, bicycle rental program, room service, laundry services, a tour desk and close access to the ocean. Right outside of each room is the beach, literally. 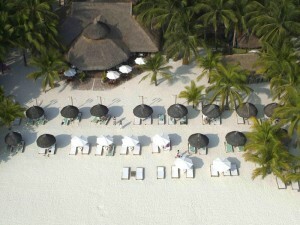 Guests only have to take a few steps to find their toes in the sand, making this resort very popular. Adding in the low nightly rates and you really can’t go wrong. Different from most resorts, the Palm Breeze Villa offers a small selection of rooms, 5 in total, that resemble small apartments rather than actual hotel rooms, which is great for those who love more ‘me space’ and less of the general hotel feel. Each ‘room’ features a walk in closet, air conditioning, free internet access and a TV with internet channels. Guests are also treated to a breakfast buffet, a swimming pool and massages. 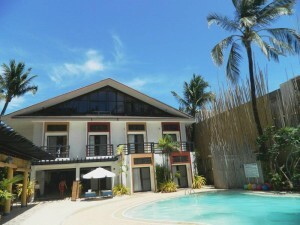 Due to its location on Bulabog Beach, guests will find a quieter vacation away from the hustle and bustle of White Beach. This is also a great for those who enjoy windier conditions along with outdoor water activities as wind surfing is a common and popular sport on this side of the island. Reviews tend to be on the positive side with many guests stating how comfortable, romantic and friendly the resort is, which is a big deal as there are lots of other resorts within the same price range. With great reviews all around, budget friendly room rates and a great list of amenities, this beachfront location is hard to beat.